Non-Tory music fans are beginning to wish the Prime Minister David Cameron would shut up about his music tastes. They have already seen their Jam and Smiths albums tainted by association with Cameron. 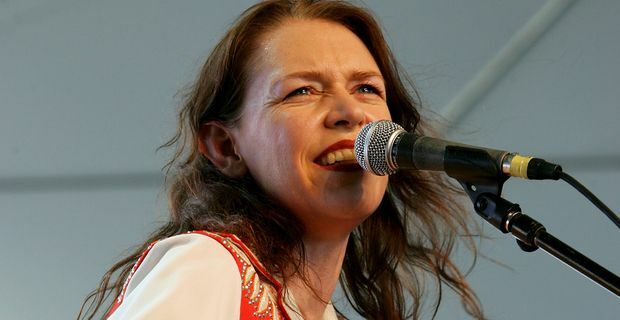 Now it has been confirmed that alt-country singer Gillian Welch, a fondness for whom was hitherto a sign of impeccable taste among music cognoscenti, has been on repeat play on the Cameron sound system for more than a decade. Yes, even more than Mumford And Sons. As in many aspects of modern culture, initially it seemed that former MP Louise Mensch was to blame. Her husband Peter manages Welch and her musical partner Dave Rawlings. Mensch got the PM onto the guest list for a 2011 London show where their presence was noted with a mixture of consternation and surprise by gig-goers. It has subsequently emerged that the Camerons were already big fans. According to Peter Mensch, Gillian Welch was the "soundtrack to their marriage". Apparently Samantha Cameron, who, as a Tory wife, knows that it is not really acceptable to have opinions of your own, asked the assistant (a chap with a purple mohawk) at her local record shop in Notting Hill what to listen to and he recommended the classic Time (The Revelator) album. Cameron does not seem to pay much attention to lyrics or he might have noticed that Welch sings quite a lot of songs about the downtrodden poor whose lives have been blighted in a harsh economy. Maybe he and Sam just like to join in a chorus of "What’s my little baby doing, dressing up in banker’s clothes?" Cameron previously professed a youthful fondness for The Jam and their class-war hit single The Eton Rifles, ironically at a time when he was a cadet in the actual Eton Rifles. His love of The Smiths has been maintained cheerfully despite the repeated demands by both Johnny Marr and Morrissey that he desist.